I buy baby Bok Choy just for all the Top Ramen I eat. I add it in to the saucepan during the last minute of cooking the noodles. I don’t drink a lot of the soup broth, which probably contains all the nutrients. 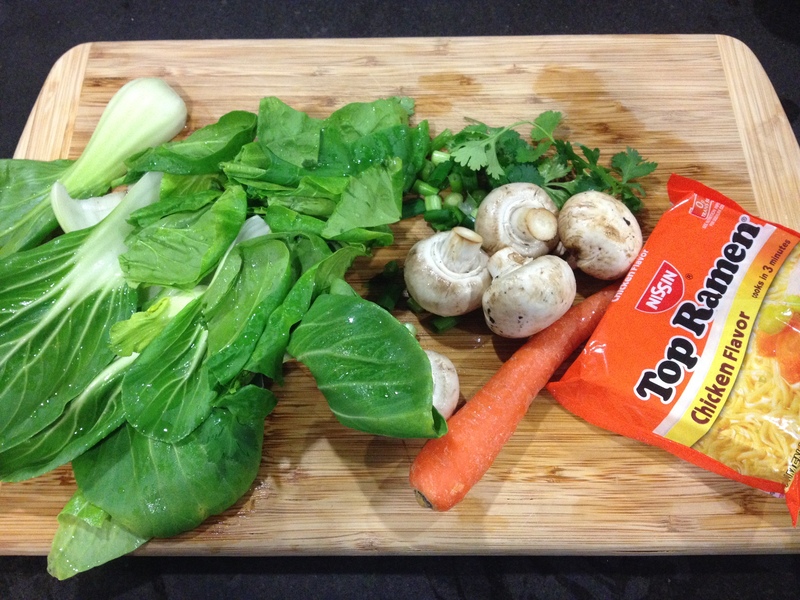 Right idea to add baby bok choy, possibly my favorite vegetable, but you seriously need to upgrade your noodles. Packaged ramen is 30+ calories from fat, lots of it saturated, and almost a whole day’s sodium. Not drinking that broth is smart. Try using Japanese udon, soba, or even rice noodles, and make your own seasoning with soy sauce, garlic, ginger, onion, maybe a little hot sauce.